The AutoQuad M4 is first in a new generation of AutoQuad flight controllers. 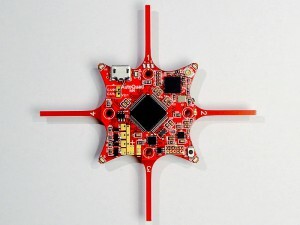 It is designed to be scalable from pocket sized quads and up to heavy payload copters with up to 16 brushless motors by using expansion boards. AutoQuad M4 offers an easy and affordable entry into the world of AutoQuad with Quatos adaptive attitude control.It it is fully software compatible with all AutoQuad features. And a number of new features including the quatos adaptive controller makes the M4 a very stable, easy and affordable AutoQuad controller. 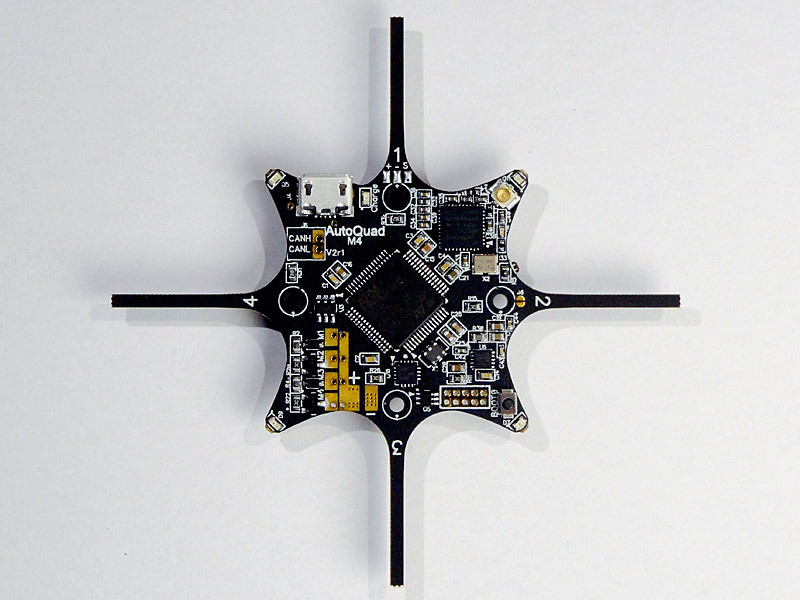 Basic IMU calibration can be done in 5 mins, and with a small nanoquad frame, it it easy and fast to create a pocketquad with superior stability and full autonomous mission capability. And with Quatos adaptive attitude control now included along with every M4 controller, AutoQuad now offers unsurpassed stability and disturbance rejection. 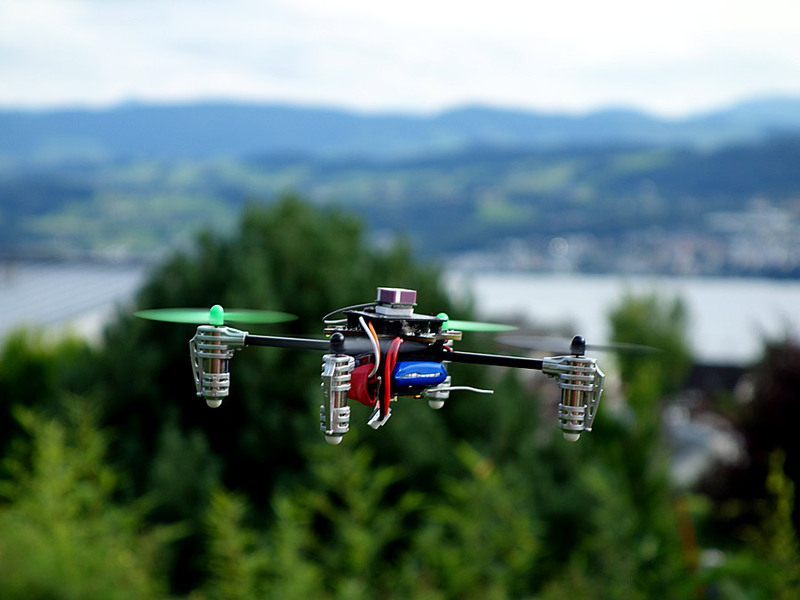 Included Quatos license for hobby and recreational crafts up to 1kg. Upgrade, educational and commercial licenses available. 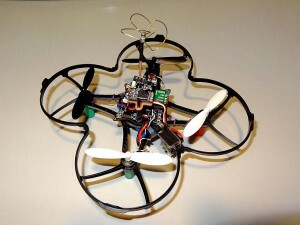 The 4 onboard motor drivers allow to build a pocket sized AutoQuad by just adding 4 coreless motors and a small frame. It is a direct fit to a Ladybird frame and can be combined with a number of other pocket-quad parts from Hubsan, CrazyFlie, Walkera, WLtoys, e-flite and many others. 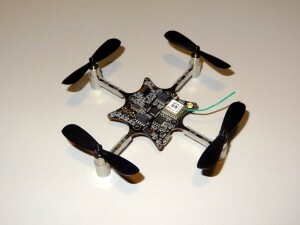 By connecting a small GPS antenna (you can make one for a few bucks) you can add full navigation and autonomous mission capabilites to your M4 nanoquad. Or, if you are using your M4 to control your big rig, you can use the standard 35mm patch antenna and get really excellent GPS reception even in challenging places. M4 introduces the new Quatos Adaptive control unit to AutoQuad. Quatos is a nonlinear adaptive attitude controller that increases stability and disturbance rejection in AutoQuad. 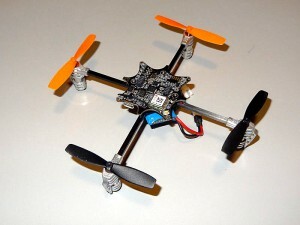 Every M4 will come with a license that allows personal hobby use on crafts up to 1kg. Upgrade paths for crafts over 1kg and commercial use and licenses for existing AQ controllers will be made available from Dynamic Software, the company behind Quatos. 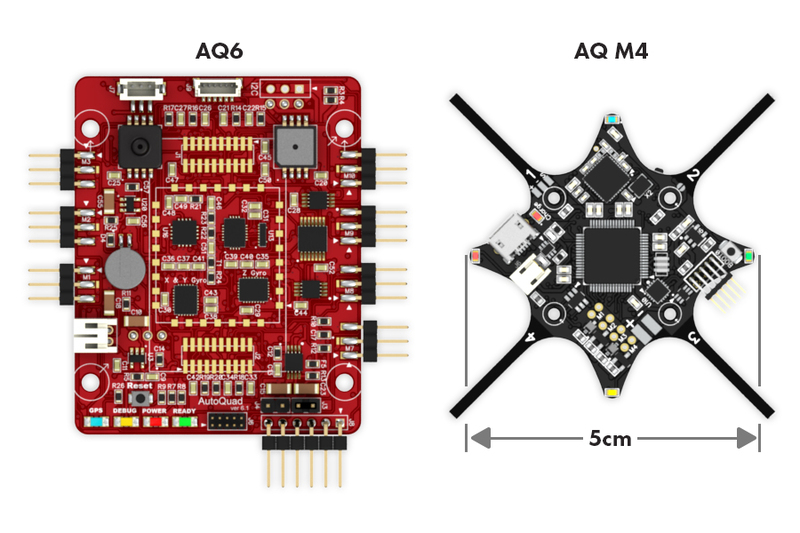 The expansion headers makes it possible for the M4 controller to be very versatile and offer the same functions as a full AQ controller board with up to 8 PWM channels (including the 4 internal channels), SD-Card and wireless telemetry just like its bigger counterparts. And with CAN and ESC32, you dont need to worry about PWM channels, but can control up to 16 CAN ESC´s directly from the M4 and fly your big rig with it too. The combination of GPS receiver, CAN bus and expansion headers allows the M4 to be used to control a fullsize rig with full nav capability. 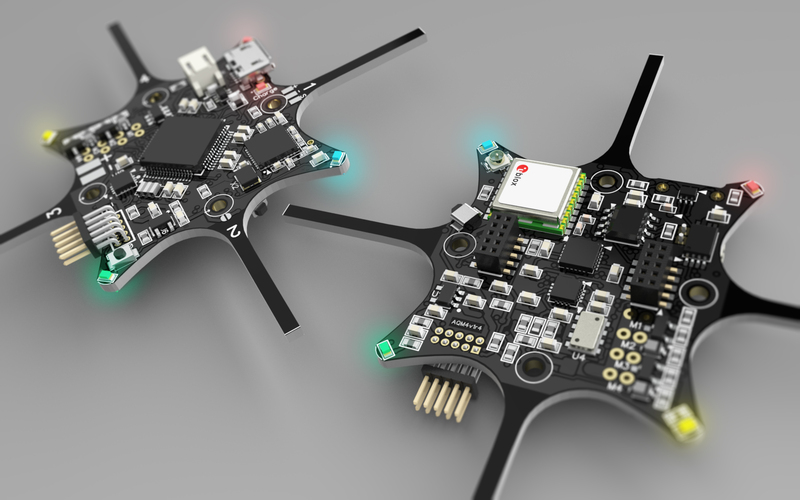 We are also working on several “Motherboards” for the M4 and other AQ controllers that we will release soon. These motherboards can be connected to any AutoQuad main board via CAN bus. 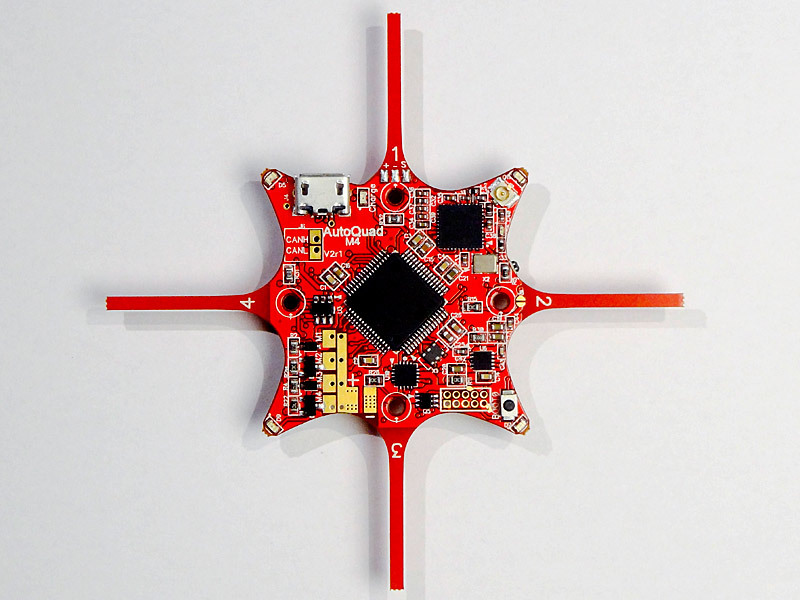 They add functions such as OSD, power distribution, signal distribution, power supplies, UART´s, Xbee socket and PWM channels.